The researchers at Queen Mary University of London and Newcastle University have found that India continues to be a hub of unregulated antibiotics produced by Multinational companies. 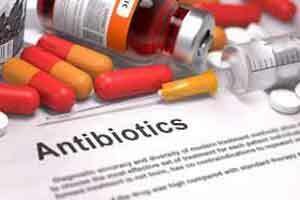 India has among the highest antibiotic consumption rates and sales in the world and therefore it may lead to increased risks of antimicrobial resistance in the country .According to research published in the British Journal of Clinical Pharmacology millions of unapproved formulations of antibiotics are being sold in India which may defeat the efforts of various agencies to curb rising antimicrobial resistance. Of 118 different formulations of FDCs being sold in India between 2007 and 2012, the team found that 64 percent (75) were not approved by the national drugs regulator, the Central Drugs Standard Control Organisation (CDSCO), even though the sale of unapproved new medicines is illegal in India. Only five of the formulations were approved in the UK or US.